Do you know the Burgener Warm up? Remember to check the video library for a review on the movements! 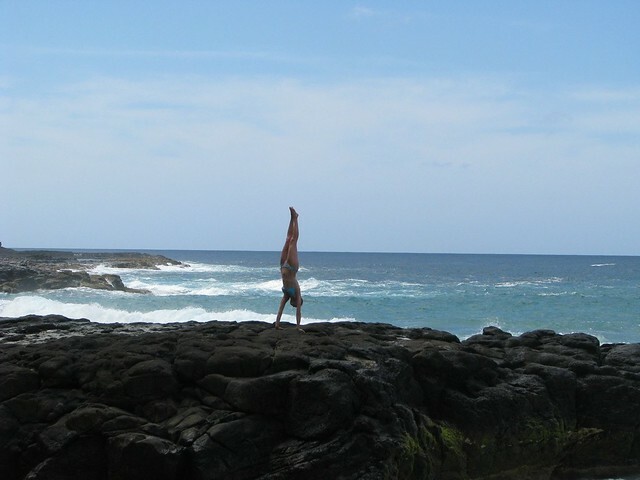 Be sure to welcome Alex to the gym from Hawaii! Remember to send us your best CF pics and we’ll post them! CrossFit posted a controversial video a couple of years ago with the tagline, “Three quarters of the Earth’s surface is covered in a medium where without some basic functional training survival is impossible.” Then a link to the video, Caitlin Glassman, Infant Swim Resource, wmv/mov. Agree or not with this ideology, the premise is still correct…we should know how to swim! In place of our thursday night track work, this week we will be hosting an intro to proper swimming technique! We will be meeting at the Santa Monica College Pool at 6:30pm. The cost is $5 maximum for admittance, less if you are a student or resident of Santa Monica. Click here for the location. You are responsible for bringing your own goggles. For those with long hair, a cap is recommended and a one piece for the ladies. Gentlemen, the less baggy the shorts the better. Ask for details if you want to know more!